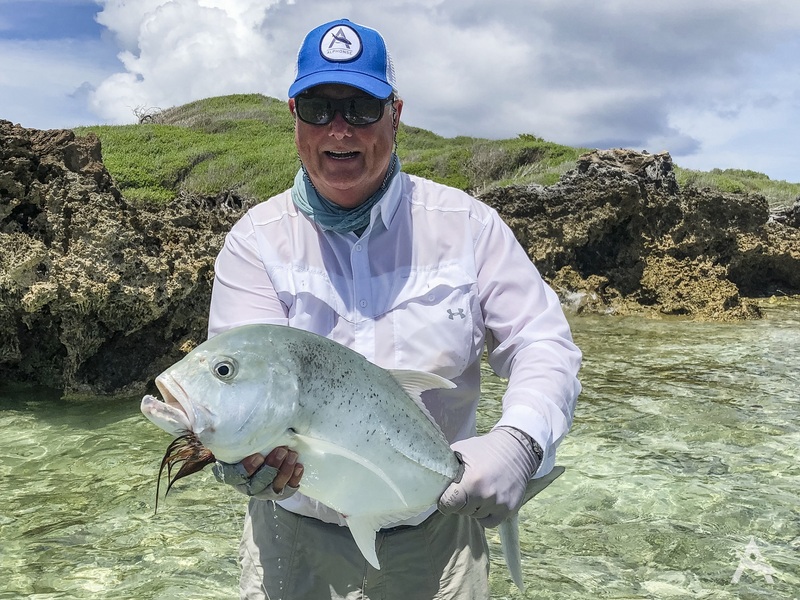 Astove Atoll Fly Fishing News - Capitalising on the GT's! 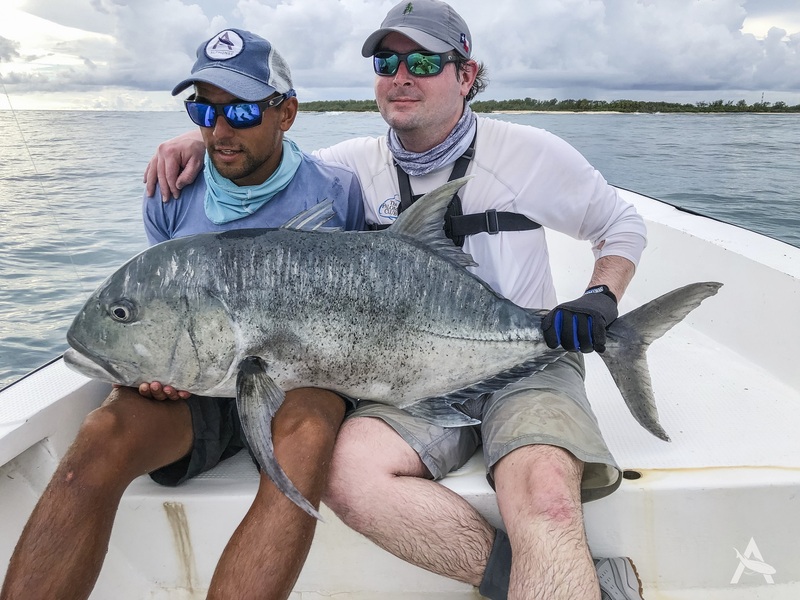 Father and son team Barry and Alex came from Texas to open the first week of fishing at Astove Atoll after the Christmas break, all party’s eager to see how the flats would fish after a couple of weeks of rest. 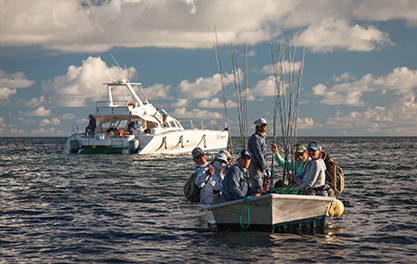 The tides moved quickly from springs to neaps, allowing for only two days of fishing on the inside of the lagoon. Throughout much of the week, there was very little wind, only increasing in the last two days. A large and restricting factor for the week was the lack of light making surf walks difficult. As a result of this much of the effort was concentrated on fishing white sand with a lighter bottom, the mouth, and the outside. As always great bonefishing was had in the skinny water of the lagoon, a great way to warm up for the week and work off the rust. 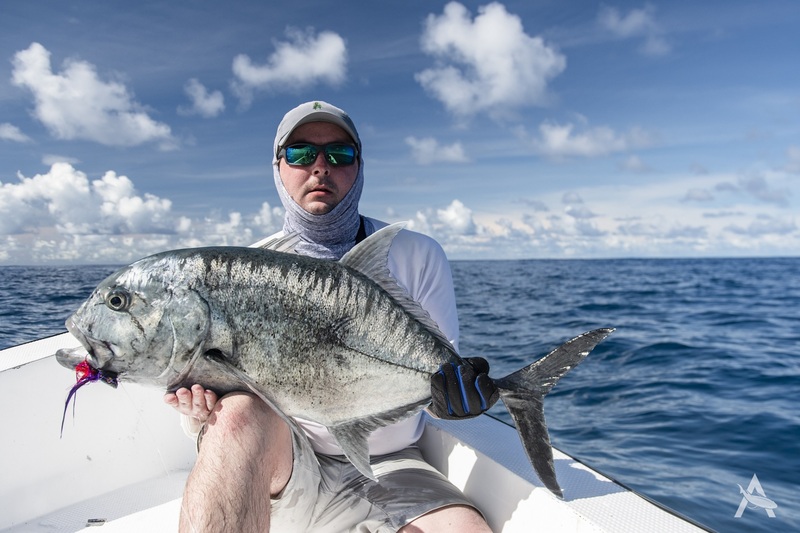 It didn’t take either Barry or Alex long to catch their first GT both bending into good fish on the first afternoon. The rhythm of catching a few GT’s and a bunch of bones a day followed throughout the week. 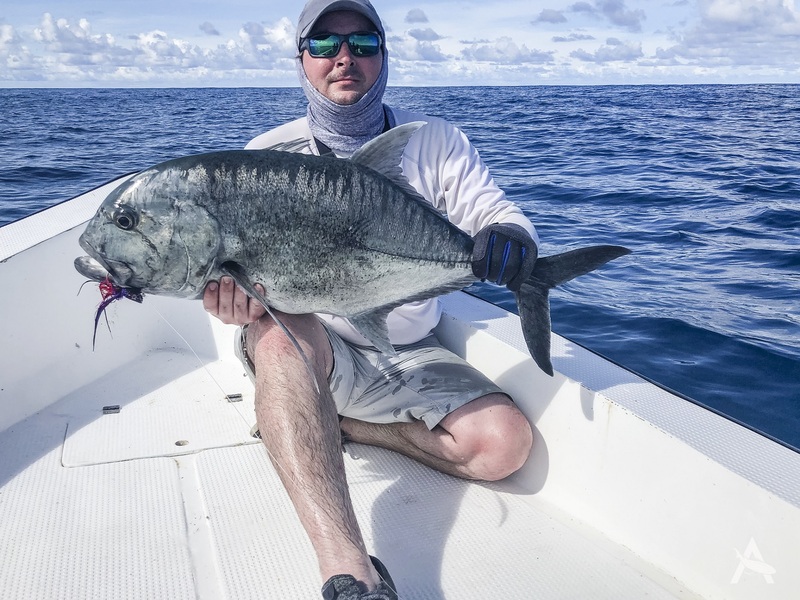 The mouth produced the best flats fishing and both Alex and Barry capitalised on this, both catching good-sized GT’s in the shallowest of water. 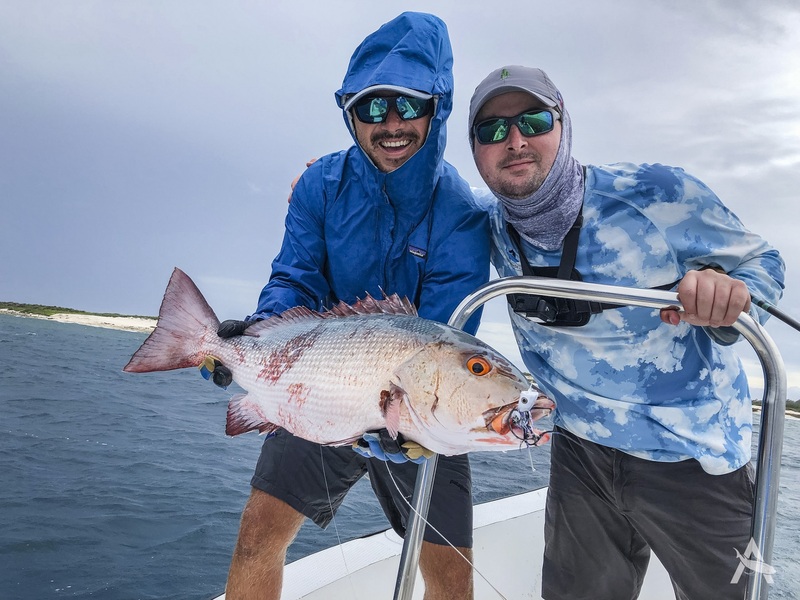 Fishing on the outside of the reef proved to be steady and each day a handful of GT’s were brought up to the boat from the deep blue. 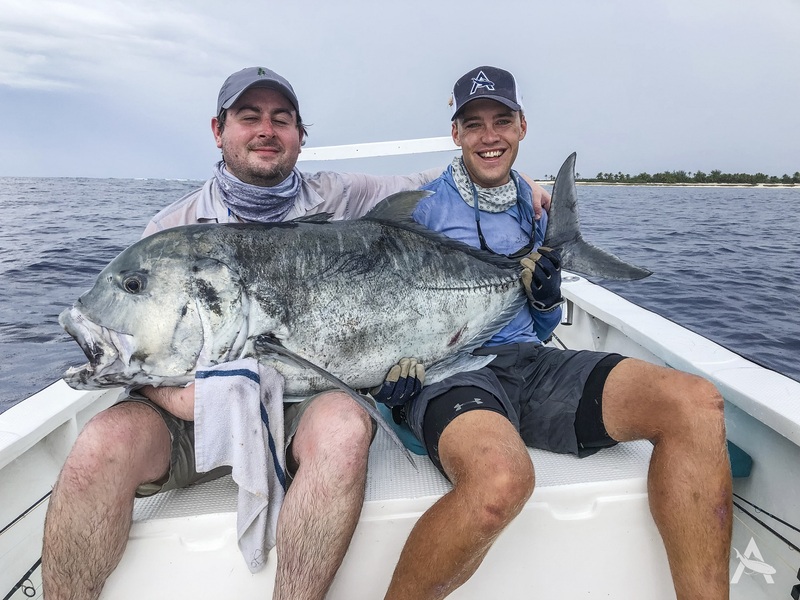 It was Alex who was the luckiest of the two landing two huge fish in the week, firstly a great fish of 113 cm and then an even bigger fish of 124 cm. 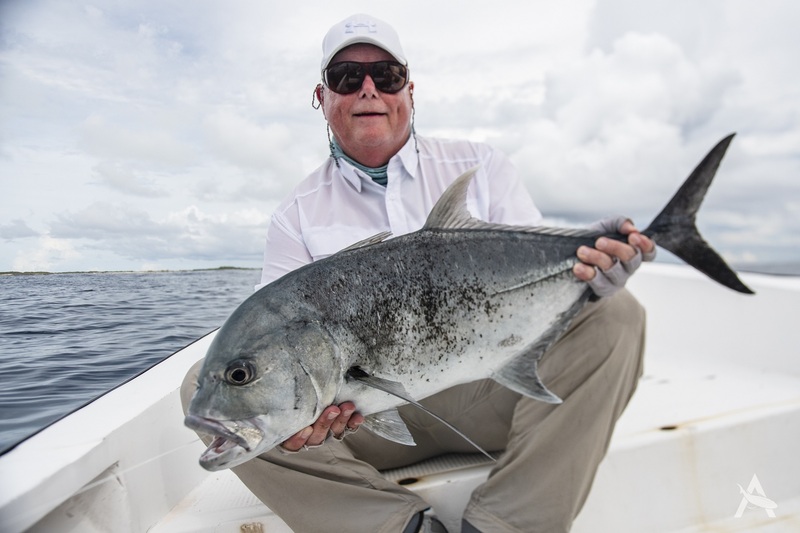 The biggest of the two caught in the dying hours of a particularly wet and testing day, the huge fish that engulfed the popper only meters from the boat.